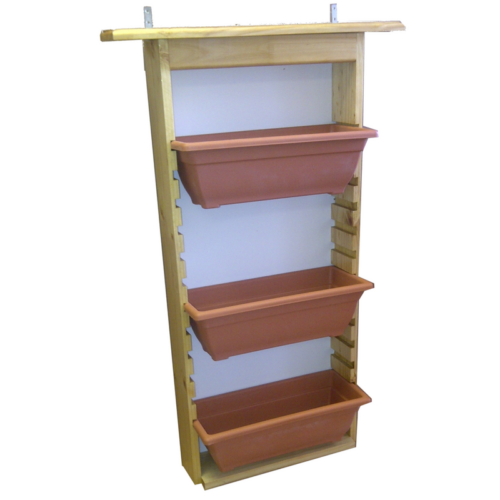 4 x Terracotta Pots (150 mm diameter) and 4 x Nail-In Anchor Wall Plugs (8 x 80 mm) included TIP: Soak the terracotta pots in water for a day before planting up. 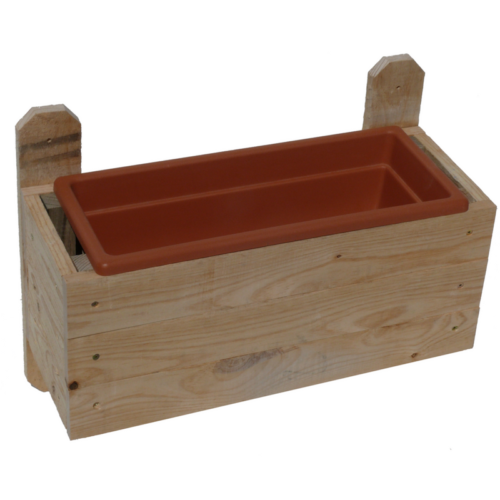 Terracotta acts like a sponge and absorbs all the water from the potting medium. 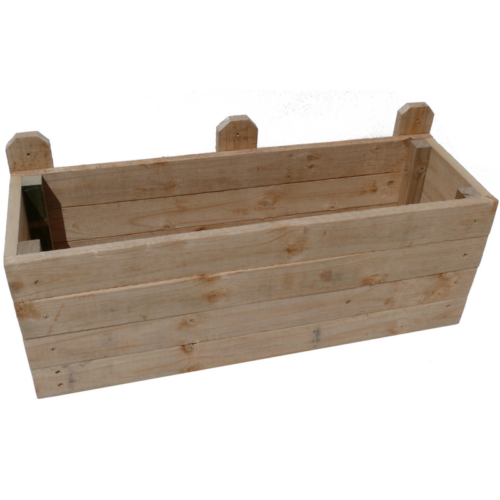 By saturating before planting, the pot will not absorb water, and the soil will stay moist. 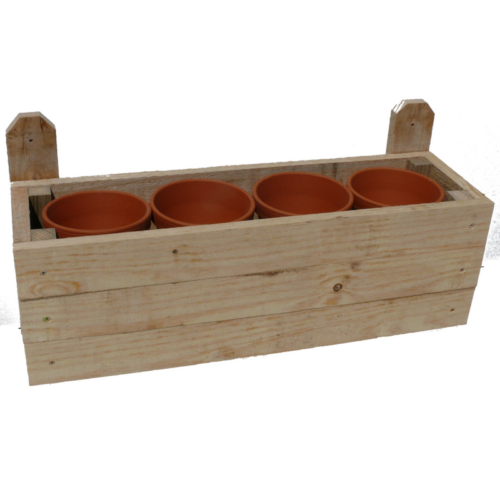 5 x Terracotta Pots (150 mm diameter) and 6 x Nail-In Anchor Wall Plugs (8 x 80 mm) included TIP: Soak the terracotta pots in water for a day before planting up. 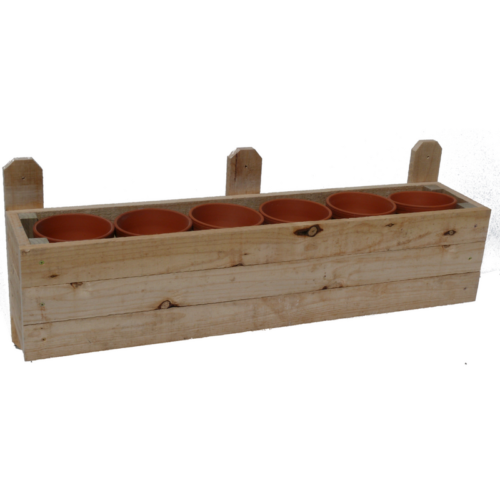 Terracotta acts like a sponge and absorbs all the water from the potting medium. 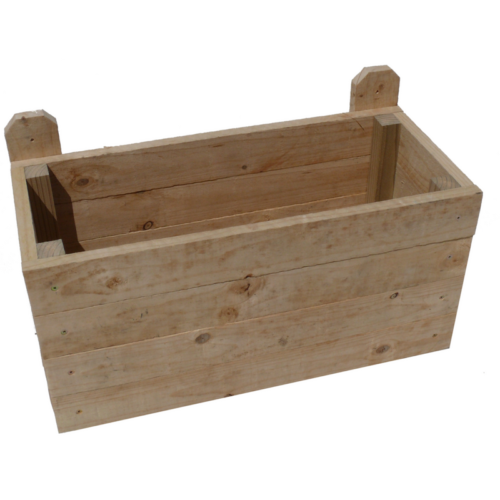 By saturating before planting, the pot will not absorb water, and the soil will stay moist. 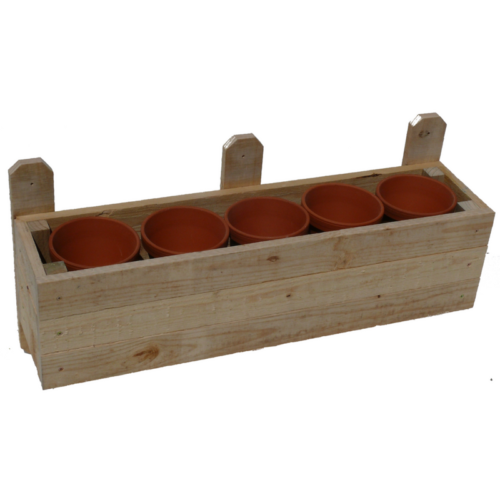 6 x Terracotta Pots (150 mm diameter) and 6 x Nail-In Anchor Wall Plugs (8 x 75 mm) included TIP: Soak the terracotta pots in water for a day before planting up. 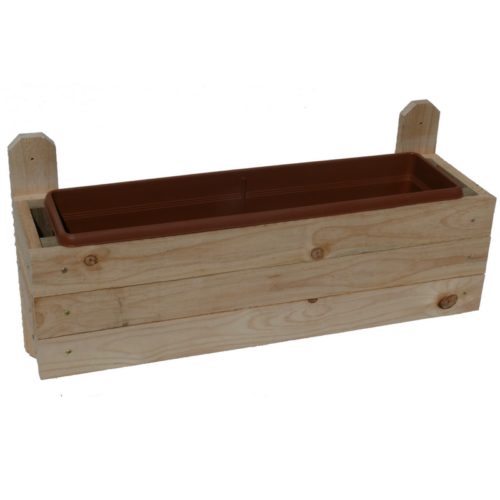 Terracotta acts like a sponge and absorbs all the water from the potting medium. By saturating before planting, the pot will not absorb water, and the soil will stay moist. The pinewood is sealed for outdoor use. Three 50 cm plastic containers are included. 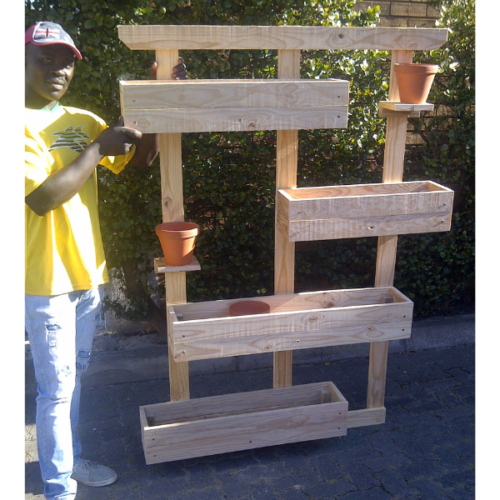 The Wall Planter comes with 6 x Nail-in Anchor Wall Plugs (8 x 80 mm). 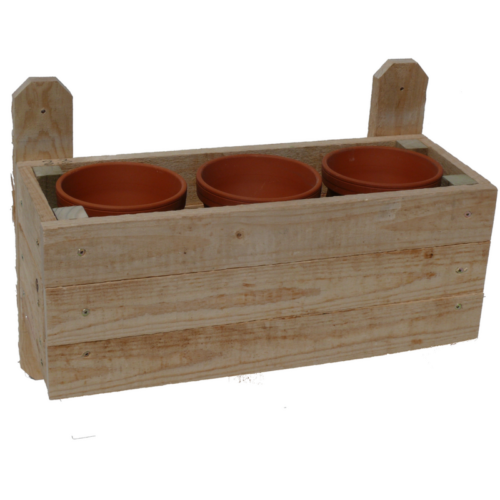 The Wall Planter comes with 4 x Nail-in Anchor Wall Plugs (8 x 80 mm).